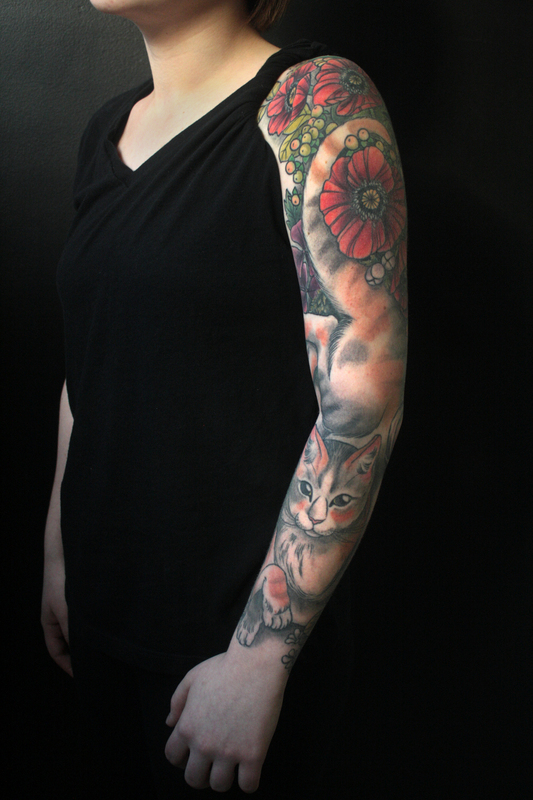 Elize Nazelie, a Boston native, has been tattooing since 2006. 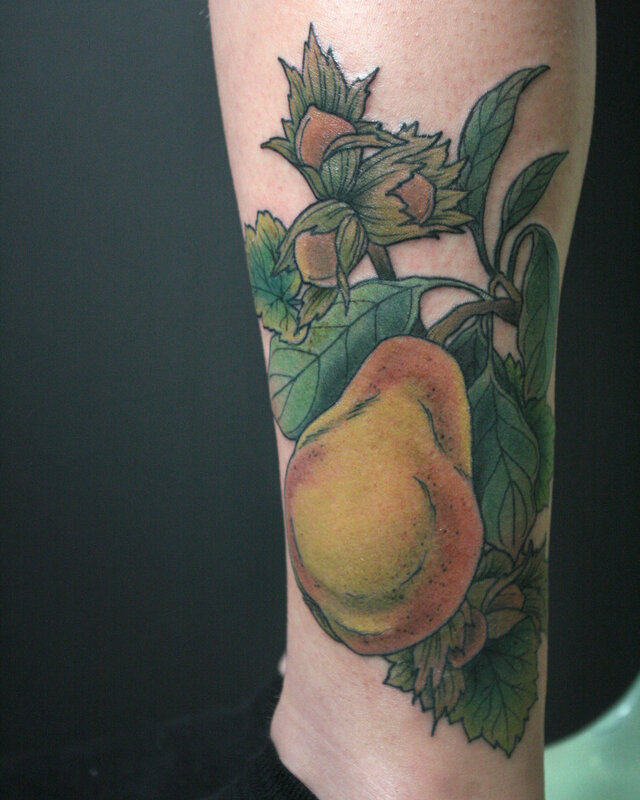 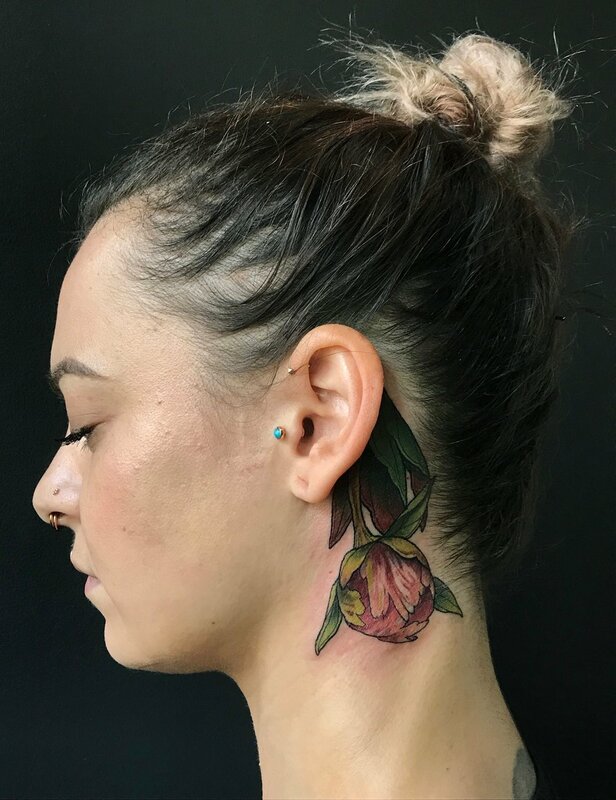 Specializing in large scale botanical and animal scenes designed to fit the body part organically, with a focus on accurately illustrated, life-sized florals; intricate linework, strong shading and unexpected color palettes. 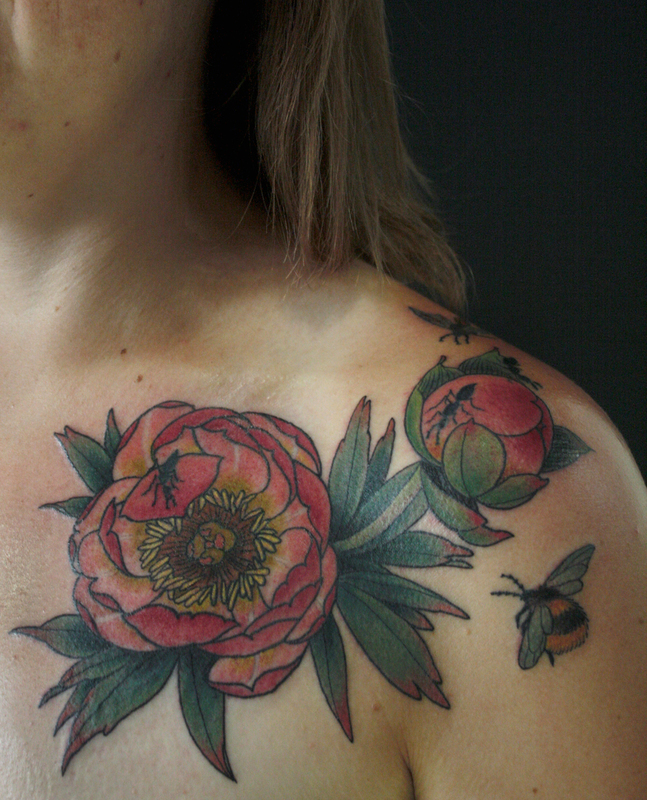 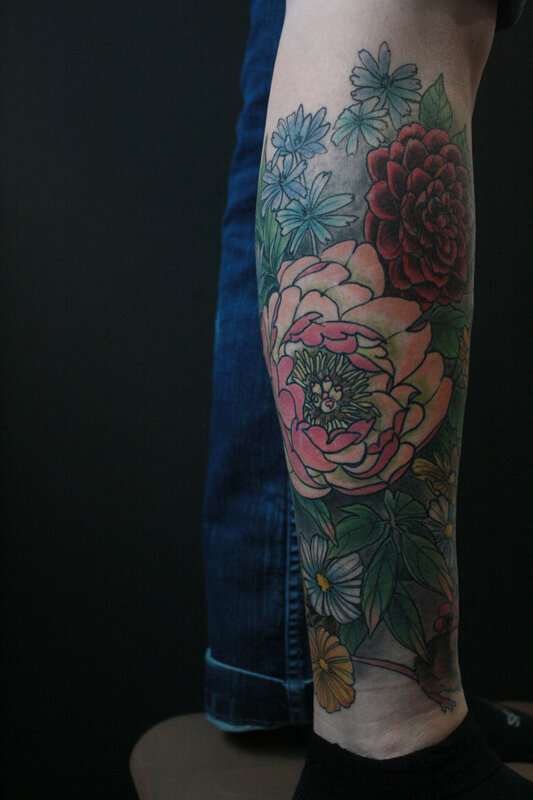 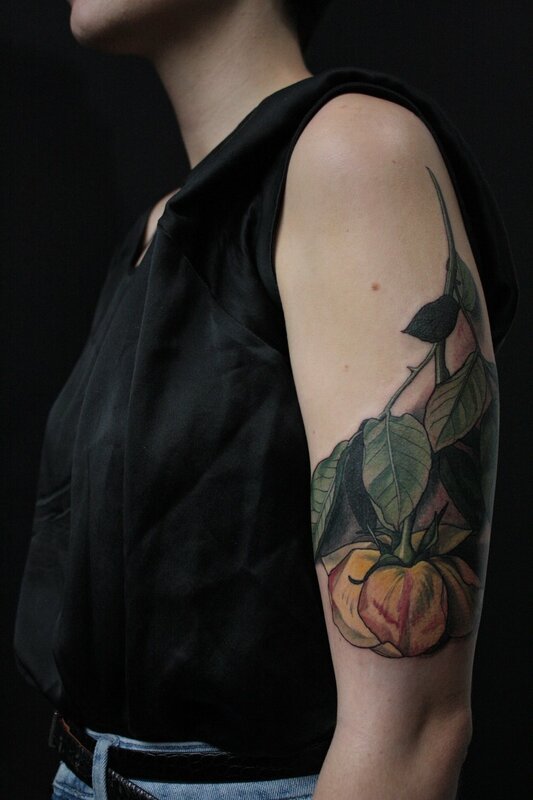 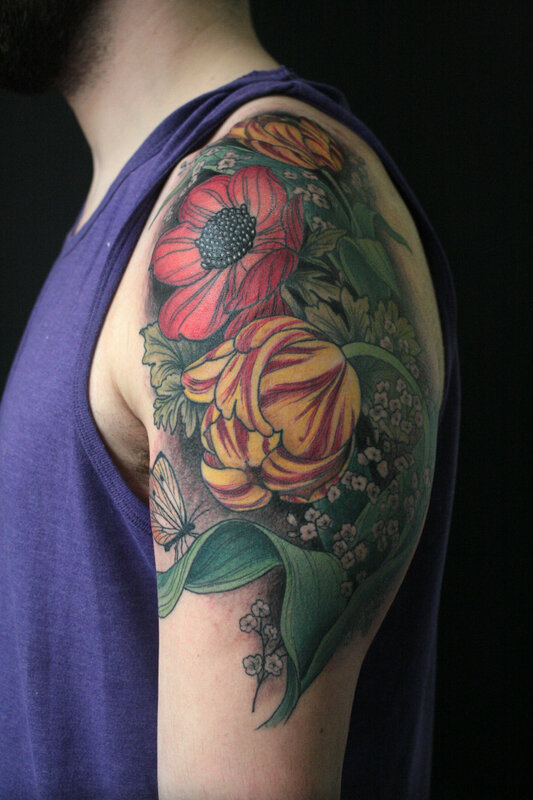 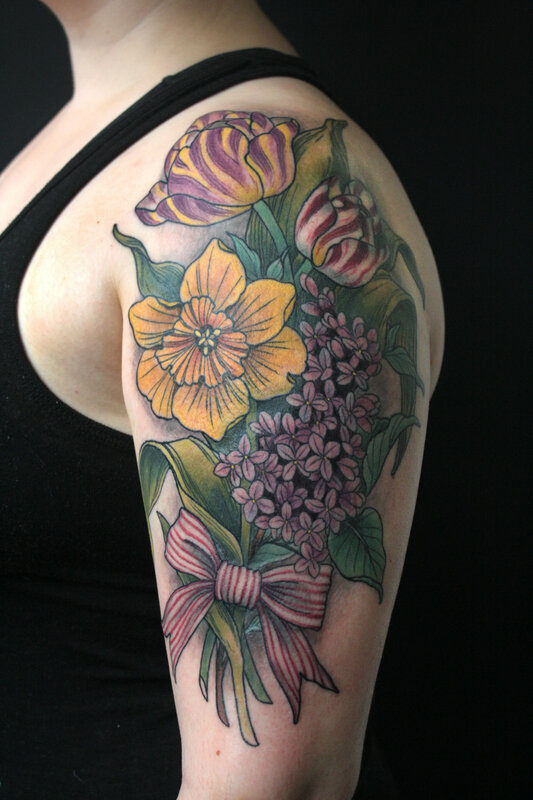 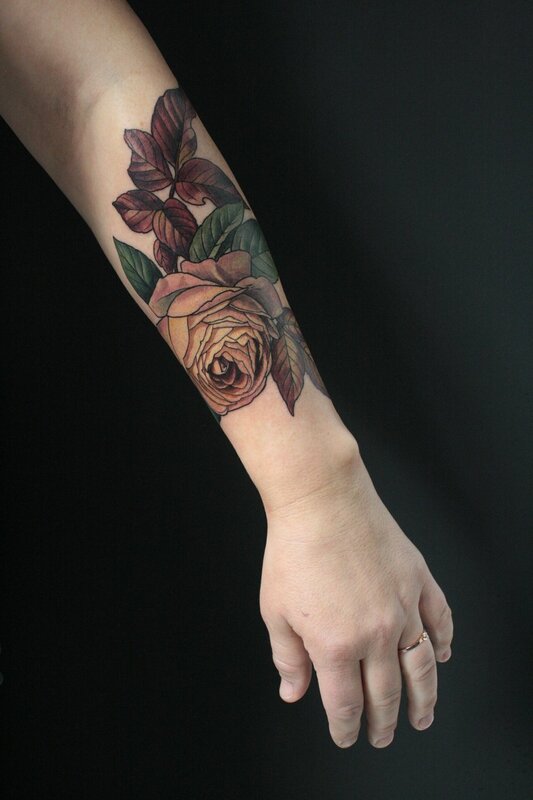 Elize also arranges and photographs her own floral reference for her tattoos as often as possible, and posts one of a kind floral arrangements for tattooing on her instagram. 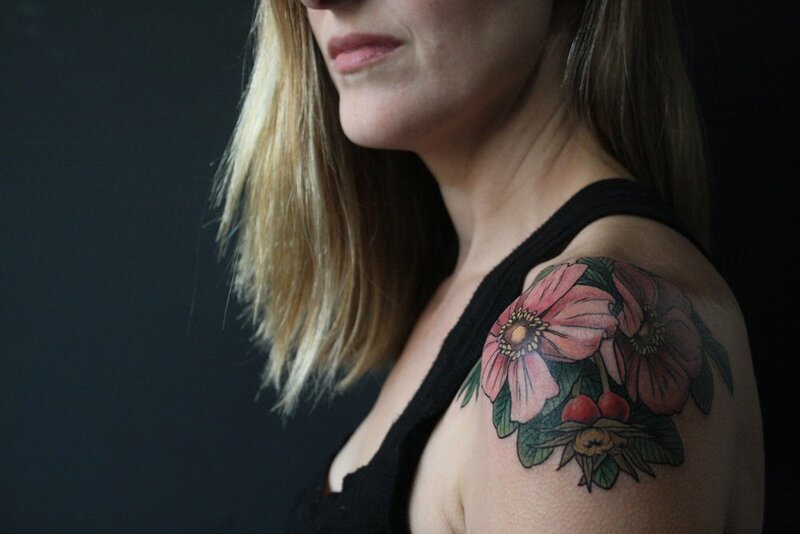 Elize’s books are currently closed, but she regularly posts available artist arranged designs, and last minute openings, on her instagram at @elizenazelietattoo and announces there when her books are open for custom inquiries, typically every 2-3 months.